Gaming is one field that has always been shrouded in controversy when it comes to its categorization. There has been a lot of debate about it being a simple leisure activity and having no other benefits whatsoever. Maybe to some extent that classification was justified as earlier forms of games only served the generic purpose of having fun but nowadays game creators are inculcating educative aspects and elements to games which provide them a broader spectrum. This approach of merging learning elements with fun activities is not new but is only a recent addition to the world of gaming. Online 3D miniclip games are a good example of how online games can be educative. Child behavioral experts who made an observation at schools where miniclip games were introduced amongst the students are of unanimous opinion that it significantly increased the students overall aptitude towards studies and they displayed increased concentration learning their lessons this way. 3D games such as subtraction triangle which teaches pupils basic mathematics or word scramble which hones their vocabulary are fast being adopted by educational institutes around the world. Children respond very well to such games where learning is intricately woven with fun filled elements so much so that a new terminology has been coined known as "Edutainment", this has given birth to a whole new style of game development where the game developer must be cognizant of the delicacies and requirements of the young recipient's mind frame. Due diligence must be paid to strike a perfect balance between fun elements and inclusion of course material. 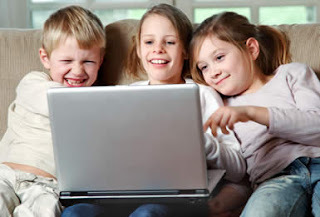 Online games can be very effective in providing an alternative way of teaching children effective interpersonal skills and critical thinking which if taught using conventional teaching methods might be considered bland and monotonous by the students. In layman's term, online educative games spice it all up! Another advantage which is associated with games is improvement of reflex actions and motor skills as most games require the players to exhibit certain degree of agility and quick thinking. The above dissertation is further cemented by a study conducted by UK group which had this outcome "The UK study concluded that simulation and adventure games - such as Sim City and RollerCoaster Tycoon, where players create societies or build theme parks, developed children's strategic thinking and planning skills". Most miniclips games are flash based and utilize adobe studios incredible shockwave player to render really immersing and engrossing gaming environment. An alternate player is also available which also displays the games with all their functionality known as the unity player.